That's a wrap! Wait, no, let me try that again. Dexter will wrap up its series run with the upcoming eighth and final season. After a teaser that hinted at a possible "dead end" for Dexter, the new key art for Dexter's last season isn't exactly instilling much confidence that our anti-hero will survive the series. There are a few ways this show could end, and one of the scenarios could very well see Dexter joining this series very high body count. Would death be poetic justice for a man who's spent seven seasons killing murderers and other criminals? It's kind of hard to argue against that outcome. Dexter does kind of fit his own code, though he may argue the point that he doesn't kill innocents. But that's really a technicality, isn't it? 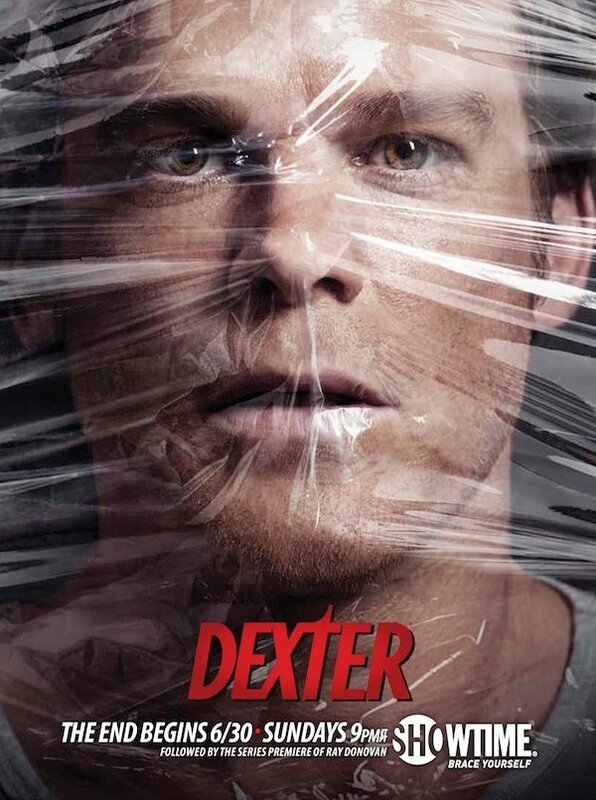 The new poster came with a new teaser for Dexter, which includes footage from Season 8 and also teases Showtime's upcoming new series Ray Donovan, which may take over for Dexter in being one of the more violent series on Showtime. The teaser gives us a look at Dr. Evelyn Vogel, who's played by Charlotte Rampling. We learned previously that she's a neuro-psychiatrist who specializes ins irking with young psychopaths and profiling criminals in unorthodox ways. In the tease, we see Dexter saying he doesn't trust her and then he's confronting her rather roughly and asking her what she's looking for. Could this woman be Dexter's undoing in the end? The more we see of Season 8, the more concerned I'm getting for Dexter's fate. Dexter Season 8 and Ray Donovan's series premiere are scheduled to debut Sunday, June 30 on Showtime.